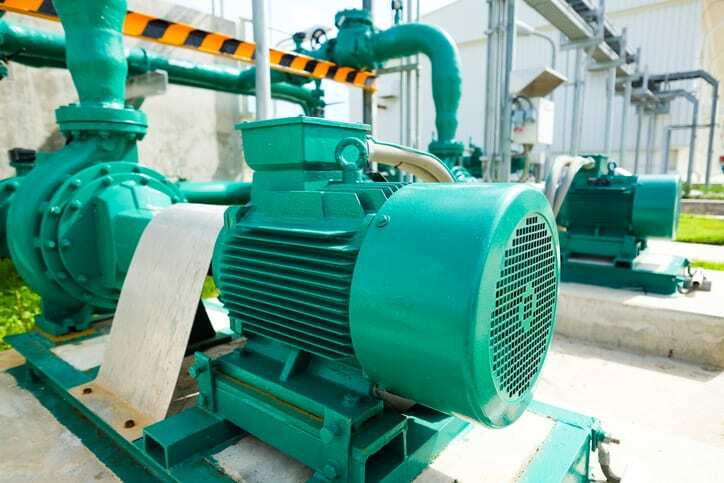 During the continuous operation of a rotodynamic pump, a kinetic machine in which energy is imparted to pumped fluid by the means of a rotating impeller, propeller, or motor, it is optimal to remain at the pump’s best efficiency point (BEP) rate of flow. 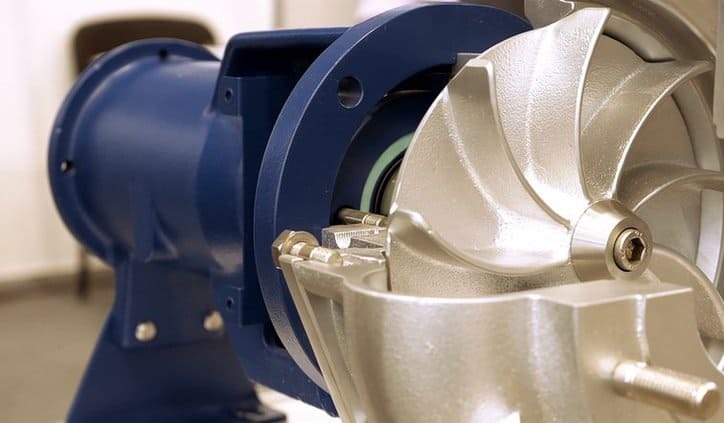 However, maintaining BEP, defined as the flow at which the pump operates at the highest efficiency for a given impeller diameter and represented as a point on a pump curve plotting rate of flow and head, for a significant period is ideal but often not carried out. The key to rotodynamic pump function lies within operating regions that do not detriment the performance and service life of the pump. 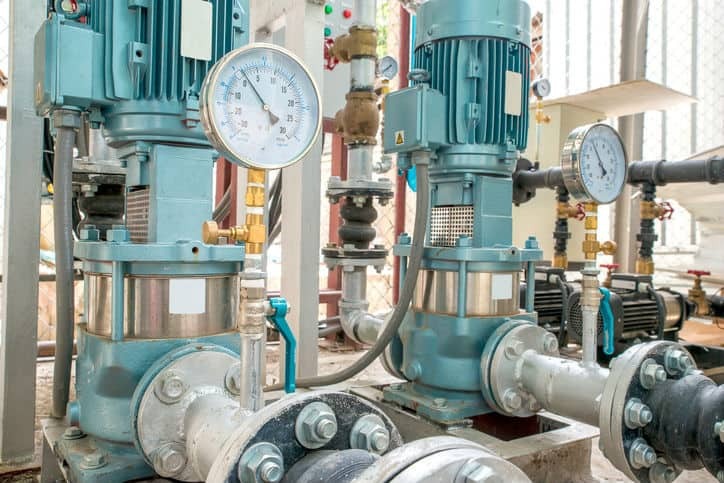 ANSI/HI 9.6.3-2017 – Rotodynamic (Centrifugal and Vertical) Pumps – Guideline for Allowable Operating Region discusses the effects of operating a rotodynamic pump continuously or for a long durations at rates of flow greater than or less than the pump’s BEP rate of flow. It is applicable to centrifugal and vertical pumps. Any pump flow greater or less than the BEP (or “operating to the right of the BEP” or “operating to the left of the BEP”, respectively) may be prone to adverse effects, including cavitation, vibration, impeller damage, suction and discharge recirculation, and reduced bearing and seal life. These unwanted damages can be minimized by keeping the flow rate in the preferred operating region (POR). According to ANSI/HI 9.6.3-2017, POR is “a range of rates of flow to either side of predicted BEP within which the hydraulic efficiency and the operational reliability of the pump are not substantially degraded.” Operating a pump within the POR generally results in higher reliability, lower energy consumption, and far less of an impact on design service life. Encompassing a wider range of rates of flow outside the POR is the allowable operating region (AOR), the limits of which are determined not by energy consumption, but by an assortment of other factors. These include, as addressed in ANSI/HI 9.6.3-2017, hydraulic loads, temperature rise, vibration, noise, and liquid velocity, just to name a few. Please note that AOR is outside of a pump’s POR, and, as such, the service life operated within this region may be lower than that of the same pump operating within the POR. 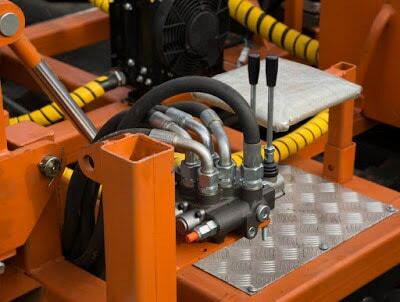 The limits of AOR should be defined with the help of the pump manufacturer. Beyond this information, the ANSI/HI 9.6.3-2017 touches upon an array of issues associated with operating a rotodynamic pump continuously outside of its BEP. ANSI/HI 9.6.3-2017 was written and developed by the Hydraulic Institute (HI), an ANSI accredited standards developing organization. HI strives to advance the pump manufacturing industry by becoming the world’s resource for pumping solutions by addressing pump systems, developing standards, expanding knowledge and resources, educating the marketplace, and advocating for the industry. ANSI/HI 9.6.3-2017 – Rotodynamic (Centrifugal and Vertical) Pumps – Guideline for Allowable Operating Region is available on the ANSI Webstore.